Khaylani Bailey first up at bat and first pitch thrown and it was a home run. Texas Travelers 2024 Team Takes The Turf This Past Weekend In A 14u Organizational Practice Mya F. Alonso Team Captain Is Seen Along Side Teammates Preparing For Spring. Texas Travelers 2024 Team Volunteer At A Local Nursing Home. Mya F. Alonso Catcher/ Utility Player #12 When Not On The Field Practicing For Her Next Tournament, Mya Likes To Play Her Violen And Preform In Her First Winter Concert At Cross Timbers Intermediate School in Mansfield. Rebekah April, #99, put down a clutch bunt that pushed in a run in a 2-0 win against the Vipers at Fall State in Waxahachie. 2024 Texas Travelers outfielders taking care of business at the Queen of the Diamond tournament this weekend in Cedar Hill. Rebekah April advances to 2nd base with a steal. Rebekah April is back at it after a recent wrist injury to make a solid hit getting her on base. Mya F. Alonso #12 Catcher/ Utility Player Prepares With Her Team For Up Incoming Tournaments. 2024 Texas Travelers Fastpitch softball team. The team is a competitive softball team located in Mesquite, Texas. Its purpose is to prepare their girls to play at a high level in select softball, get ready to compete at the varsity level, and if the player desires to play college softball. 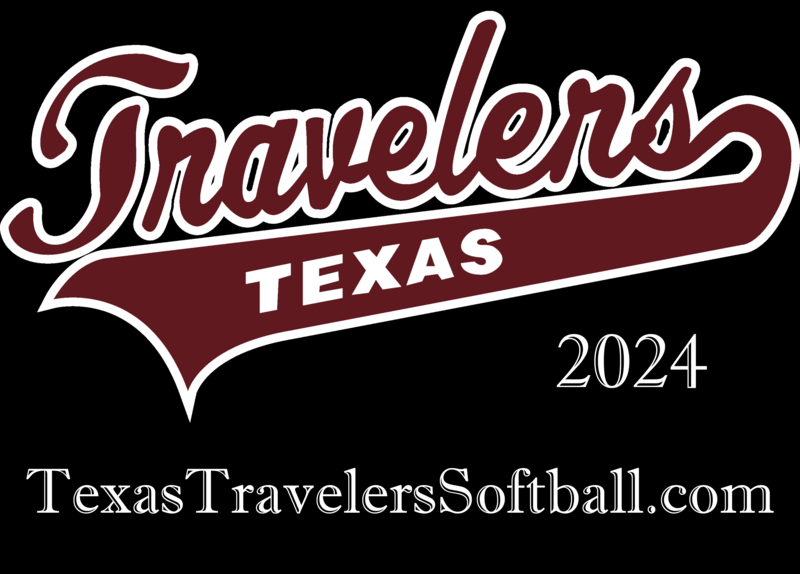 The Texas Travelers organization exists for the specific purpose of developing a competitive youth fast-pitch softball program whose goals are to develop players capable of competing at the highest levels in the country with the demonstrated skills necessary to earn a college scholarship. Our dedicated coaches and volunteer staff facilitate our athlete’s growth by conducting challenging practices and scheduling the highest level of competitive activity available. However, reaching these goals must be accomplished within the proper framework by instilling character, self-esteem, confidence and sportsmanship with the young athlete. An aggressive desire for victory combined with the procedural and graduated development of softball skills through exceptional coaching and advanced training techniques is of paramount importance. Nevertheless, everyone should realize that, fast-pitch softball is only a game and is the forum we use to help our athletes mature into responsible adults.